Learn what our couples, photographers, and fellow barn enthusiasts say about the Historic Barns of Nipmoose. “The Historic Barnes of Nipmoose was the perfect setting for our wedding. We were able to have an outdoor ceremony at a beautiful location and we loved that we were able to customize everything from the food to the decor. Read more reviews or write a review at one of our online profiles. “Brian and I can’t thank you enough for the help and planning that you put into our wedding day! “I can’t say enough about Nipmoose – this review is long but hopefully helpful to someone out there! My husband and I live in Brooklyn, and after he proposed we spent months searching for a wedding venue, it was by far the hardest part of our process. We considered venues in Brooklyn, upstate, all around the tri-state area, and either because of their ambiance, the staff, or the price point, none of them felt right. Then one of our friends (a wedding planner) suggested we check out the Historic Barns of Nipmoose. From the second we turned into the long, tree-lined driveway, and took in the magnificent views, we knew we had found someplace special. A far remove from even the smallest nearby towns (Hoosick Falls, Troy, or Bennington – the latter of which is where we ended up staying with our guests), the place had exactly the kind of secluded beauty we were looking for. We could immediately see how the space would complement what we intended to be a tasteful but lo-fi wedding. As a designer, the historic barns were incredible to stumble upon – they are works unto themselves. Connie Kheel and her team have painstakingly restored these amazing structures to a gorgeous condition. The detail and craftsmanship of these barns are amazing to withhold and needed almost no frill or decoration to be wedding-worthy. I found the less you did to them the more beautiful they were which is a reflection of a truly special place (and saved on cost!). The few modern updates that have been made to the barns have just the right blend of amenities and historic charm – for example the bathrooms are totally updated and impeccable but with the spirit of the history and barns in mind. I can’t write this review without mentioning Connie and her team. 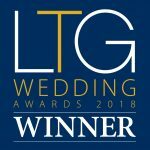 Connie and Barb were awesome to deal with throughout the process, so incredibly down-to-earth, lovely and practical – a majorly refreshing change from the typical wedding industry nonsense. Thanks to all of Connie and Barb’s help and support, the afternoon and evening of our wedding day were even more perfect than we could have hoped for, and we had nothing but rave reviews from our (admittedly biased) guests. As the sun set, almost every single guest I spoke to mentioned the incredible 360 views to us, I really can’t do the views justice in this review – you’ll have to go see them for yourselves. “How do I begin to describe how magical our wedding was?!? 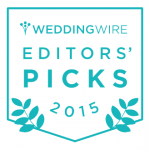 “Nipmoose was our absolutely perfect wedding venue. We wanted to be married on a beautiful farm in a secluded area and Nipmoose is perfect for that vision. Every other barn venue we toured was surrounded by residential area or in a more populated area. As soon as we drove out to see Nipmoose we knew we would be married there. The trek from Albany is about 35 – 40 minutes but it was well worth the scenic drive for our guests. Our guests had never been to a wedding like ours before and completely enjoyed the sprawling farm land and views that surround the property. The staff at Nipmoose was very accommodating and worked seamlessly with our caterer, Mazzone’s, to provide the most special day of our life so far. “This is a fabulous venue for a wedding and reception! We got married in the German Barn and hosted the cocktail party reception in the Scottish Barn. Everyone was in awe at the beauty, views and ambiance. The day could not have been more perfect. The grounds staff and The Persistence Foundation sponsor were lovely to work with as we put together all the details. 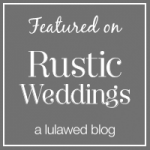 “An outdoor wedding that was a little bit rustic and a little bit refined is something we always envisioned, and the Historic Barns of Nipmoose exceeded our expectations, as well as those of every guest in attendance. While the Barns are majestic in stature and presence, their discrete rural location and the layout of the property provided a very intimate setting for our wedding vows and reception. Our guests were fascinated with the history of the Barns and the natural beauty of the property, which provided plenty of room and fresh air for socializing without ever feeling cramped or scheduled. “When we started our wedding planning, we knew the venue had to have the theme of our love of nature. Originally, our eyes were set on a wedding in Vermont because of our love of the Green Mountains, but when we saw the Historic Barns of Nipmoose we completely fell in love. The Historic Barns of Nipmoose was the beautiful, natural, classy and simple wedding venue that we were looking for our August wedding. Our favorite part of the venue was the view. The view immediately spoke to us because it is of Willard Mountain (the place where our love began). “Now more than ever, we are faced with a daunting task trying to preserve the agricultural landscape and material culture of farming communities across America. Each year, historical and preservation societies from all over the country, with ever diminishing resources, work tirelessly to help preserve America’s agricultural history for future generations. While there have been gains, there have also been many, many losses. It has been a great pleasure to have discovered the extraordinary conservation work of The Persistence Foundation of Buskirk, NY – I can’t think of many greater examples of historic preservation success than this. On a beautiful knoll overlooking the farmlands of Northeastern Rensselaer County at the foothills of the Green Mountains, stand three beautifully restored timber frame farm buildings – the Scottish and German barns, and the grain storage, or Corn crib. These extraordinary buildings, made with many hand hewn or split beams – some with remarkable wooden joinery details derived from medieval carpentry – have been expertly restored and re-erected on this wonderful site.